As you’d expect from a camera that costs the same as a decent second-hand hatchback, the D850 is a beast. With weather sealing and a chunky handgrip, this is a camera which can handle some scrapes. 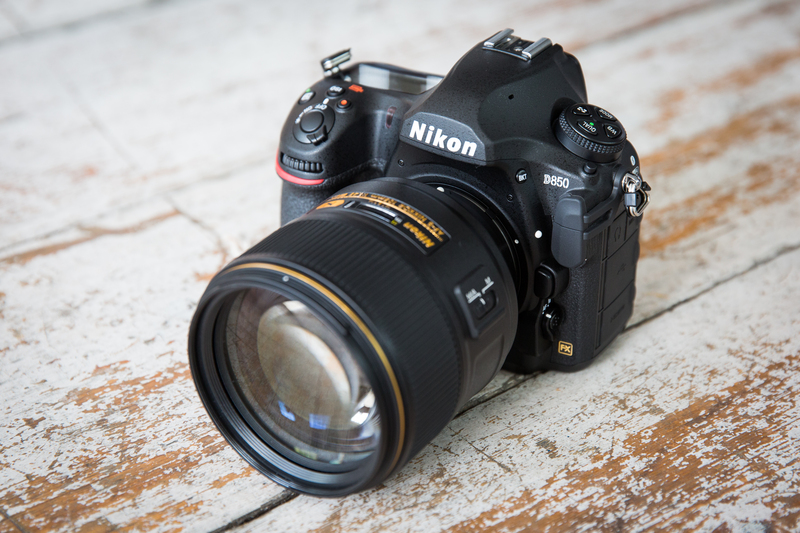 Buttons and dials adorn the D850, giving you instant access to all your most-needed settings. Your thumb naturally falls upon the handy joystick to set the AF point when you’re shooting through the bright viewfinder (the largest magnification ever found on a Nikon DSLR by the way). Alternatively, you’ve got the 3.2-inch screen, which, still relatively unusually for a full-frame DSLR, tilts and is touch- sensitive. A new silent mode means you can shoot without making a sound if you need to remain discreet – weddings, for example. The D850 uses the same speedy and accurate AF (autofocus) system as the top-of-the-line D5. Unlike compact system cameras, all of the AF points are clustered towards the center of the frame – sometimes you need to focus and recompose. A minor niggle, but an annoyance at times. Nikon’s Snapbridge functionality is great for quickly transferring your shots across to your mobile phone ready for sharing on social networking sites and the like. That is when it wants to play ball – there are occasions when it seems the Bluetooth connection just doesn’t want to co-operate. Image quality is frankly superb. Detail, as you’d probably expect from an offering of 45 megapixels, is resolved in super-fine detail, while colors are nicely saturated with great dynamic range. The high ISO, low-light performance is also impressive, particularly for something boasting so many megapixels. Exposures are nicely balanced, while automatic white balance produces accurate colors in the majority of cases.